OXFORD Marylebone Cricket Club University got their first win of the inaugural UWI World Universities T20 Cricket Tournament yesterday, in a major upset at the Sir Frank Worrell Cricket Ground, St Augustine. 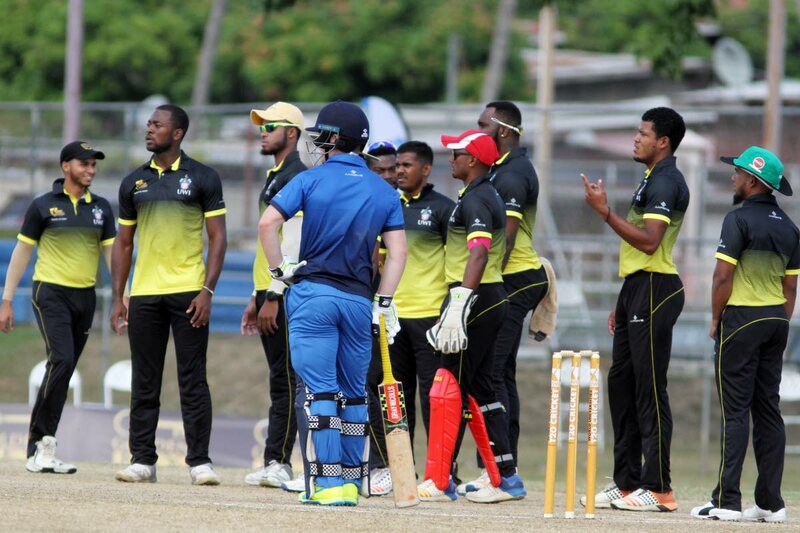 Oxford stunned hosts UWI to blow the group wide open with a smooth eight-wicket win that ended UWI's unbeaten streak. UWI won the toss and decided to bat, making 143 for eight in 20 overs. But the English students showed great composure to ease to 145 for two in 17.5 overs. UWI were led by Sachin Seecharan's 46 off 29 balls, with four fours and two sixes, but the other top order batsmen failed to follow his lead. Dominic Clutterbuck removed Adrian Ali (five) cheaply, and William Robertson got rid of Nathaneal Ramcharitar (11) stumped by skipper James Seward. When Steven Katwaroo was run out for five, Seecharan lost composure and edged Clutterbuck to Seward. Louie Shaw caused some trouble, bowling Al Small for duck and Rachad Forde for nine. Shaw also scalped Cameron Pennyfeather for four, with Thomas Heathfield accounting for Shaquille Brown (three) to leave UWI scrambling at 99 for eight in the 17th. However, Michael Frew (28 off 21 with four fours) and Gillion Tyson (21 off 12 with one four and two sixes) pushed UWI to a respectable total. Oxford had other ideas though with opener Mohammed Rizvi smashing 39 off 32. He clocked four fours and a six in a counter-attacking knock, after losing partner Harry Adair (six) early. Alongside Zaman Akther, the pair put UWI on the back foot and took the score to 78 for one at the halfway stage. Forde got the breakthrough, removing Rizvi leg-before, but Seward would enter to steady the ship. Akther made 64 off 56 with four fours and four maximums, while Seward eased to 21 off 17 with a pair of boundaries. They put on an unbroken 67 to guide the Englishmen home. With one win and two losses, a victory over USA today at 6.30 pm could push Oxford into fourth place and the semis. UWI have two wins and one loss and will play CCC (who have a similar record) in the first game from 2 pm to see who finishes in the top three. Tertiary Sports Association of TT (TSATT), who also have two wins and one loss, played winless USA in yesterday evening's match, looking to seal a semifinal spot. UWI 143/8 (Sachin Seecharan 46, Michael Frew 28 not out, Gillion Tyson 21 not out, Louie Shaw 3/33, Dominic Clutterbuck 2/18) vs OXFORD 145/2 (Zaman Akhter 64 not out, Mohammed Rizvi 39, James Seward 21 not out). Oxford won by eight wickets. 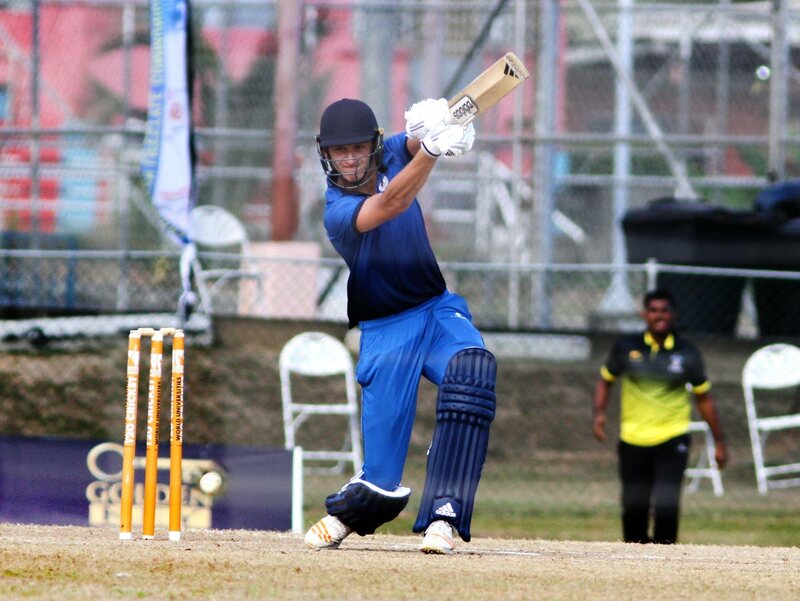 Reply to "Oxford stun hosts UWI by eight wickets"